On the day of Pentecost the Church was made made manifest to the world. In a supreme act of God’s mercy, the Holy Spirit was poured out upon the Church. Through the Church, and the work of the Holy Spirit within in, the salvific work of Christ is continued through the ages. 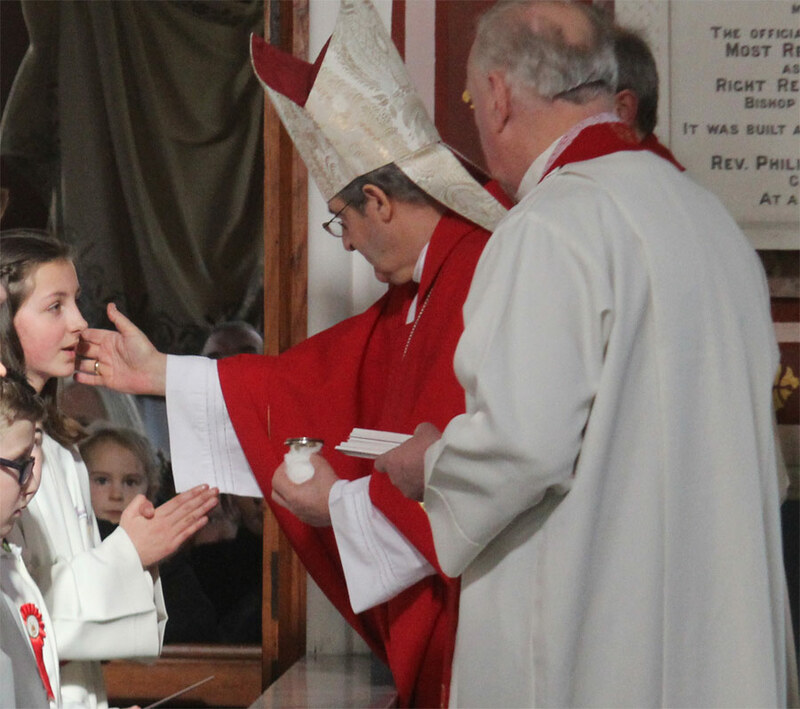 In the Sacrament of Confirmation – which is ministered to those who have already been baptised – the gift of the Holy Spirit is bestowed; the same Spirit that was promised by Christ the Lord and poured out upon the apostles at Pentecost. The gift of the Holy Spirit conforms believers more fully to Christ for the building up of the Church in faith and love. 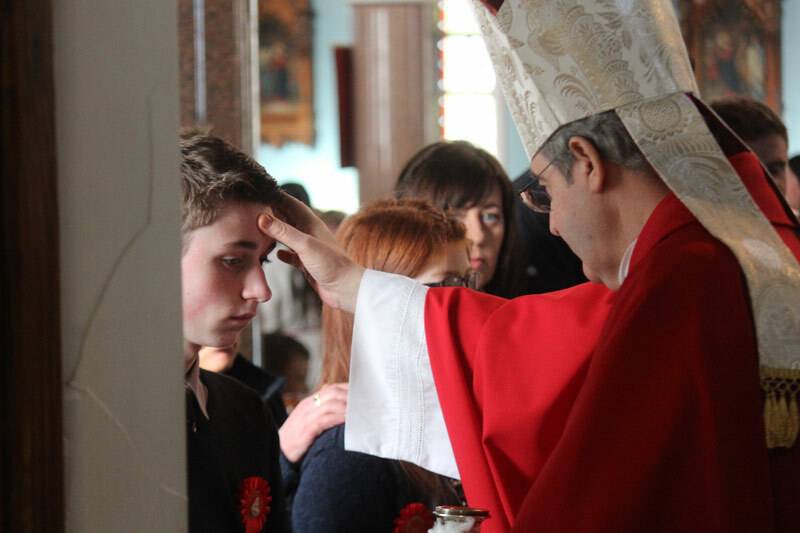 For the last few months, in ceremonies of great joy, Bishop William Crean has been bestowing on the gift of the Holy Spirit to the young faithful around our diocese. The following photos capture some moments from these ceremonies. 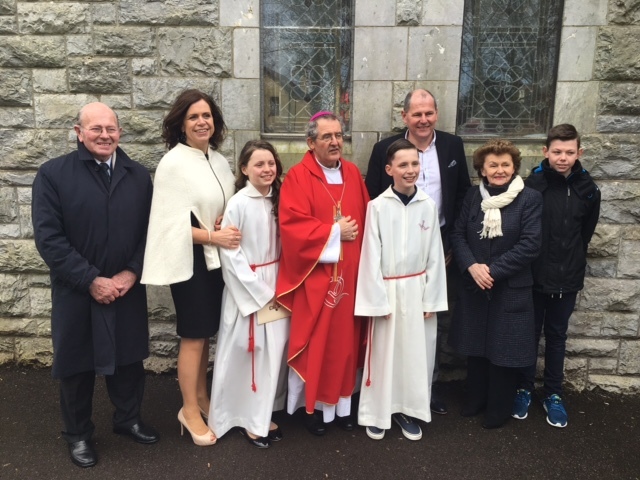 Bishop William Crean with the Fleming family, Castlemartyr (parish of Imogeela). Twin joy in this family! Great joy for the Gurbal family in Cobh. 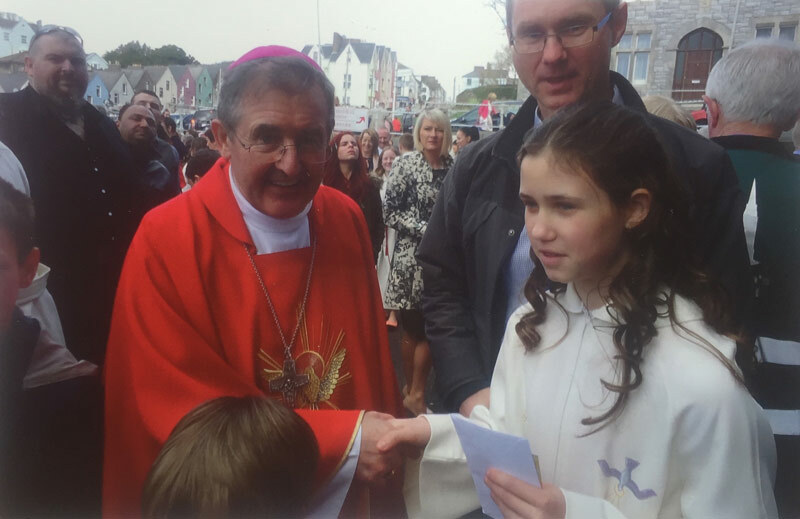 With Bishop William outside St Colman’s Cathedral Cobh. 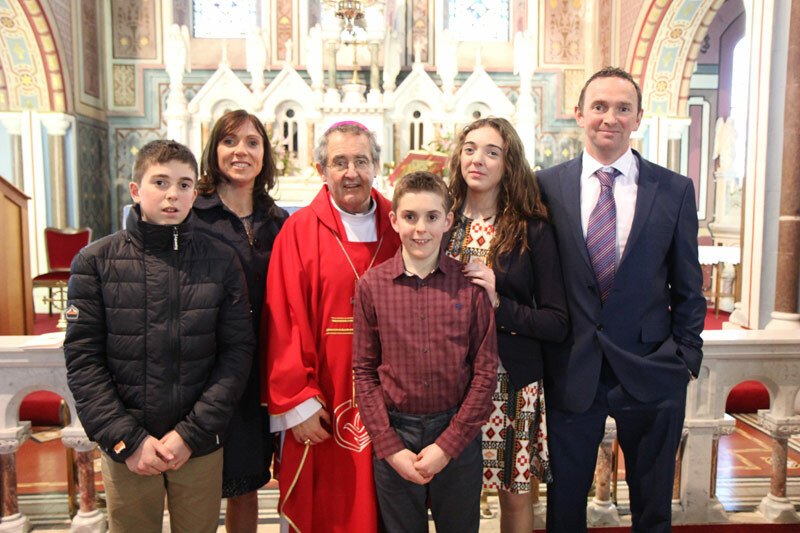 Bishop William with the Joyce family (Castlemartyr, Parish of Imogeela) in Sacred Heart Church, Mogeely. In line with policy, the names of children have been withheld. Permission for showing of photos has been received from parents.